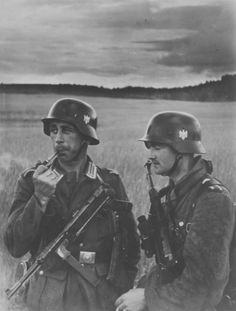 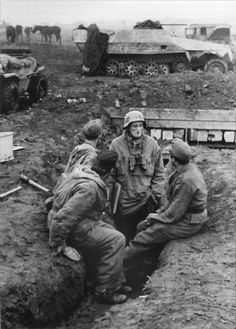 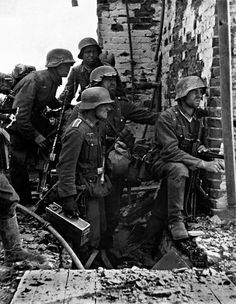 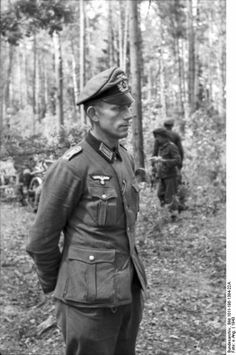 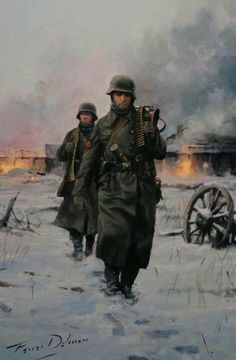 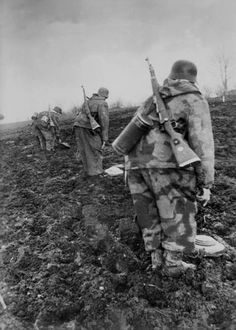 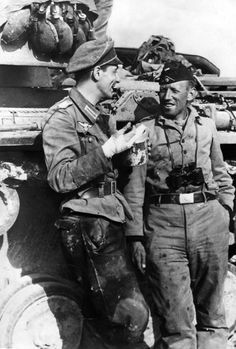 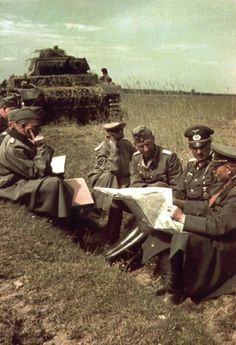 Großdeutschland division personnel on the Eastern front. 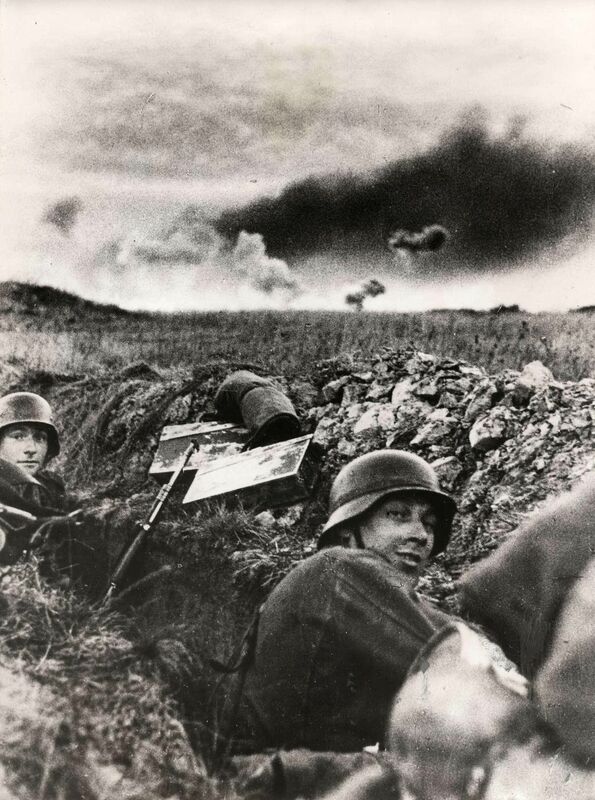 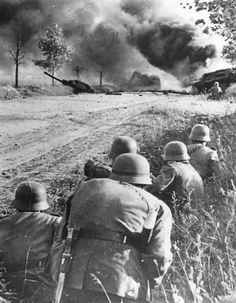 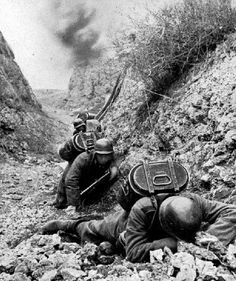 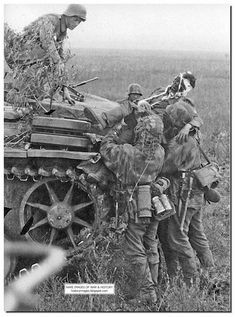 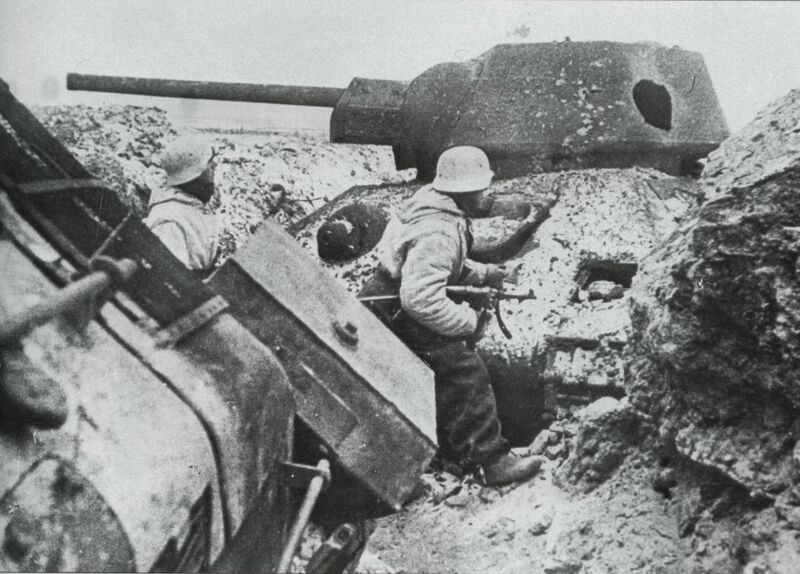 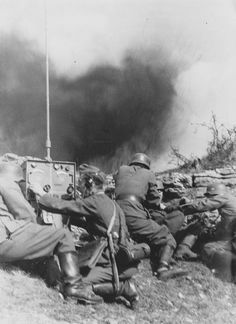 German soldiers taking cover in a ditch while artillery explodes on the horizon — Eastern Front, 1941. 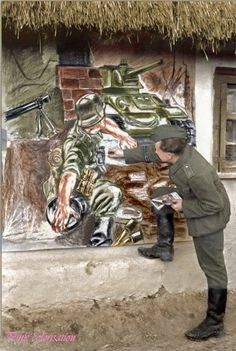 World War Two. 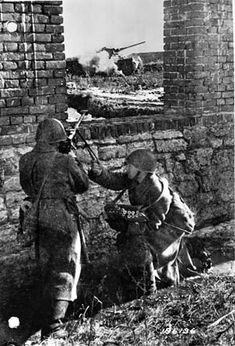 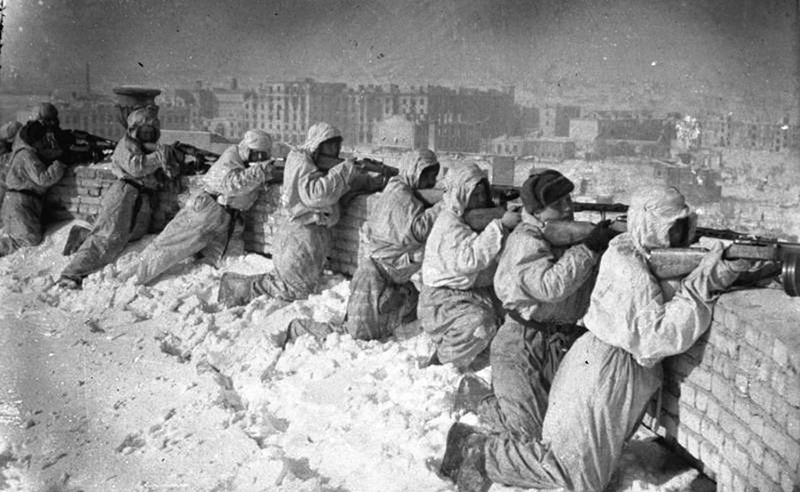 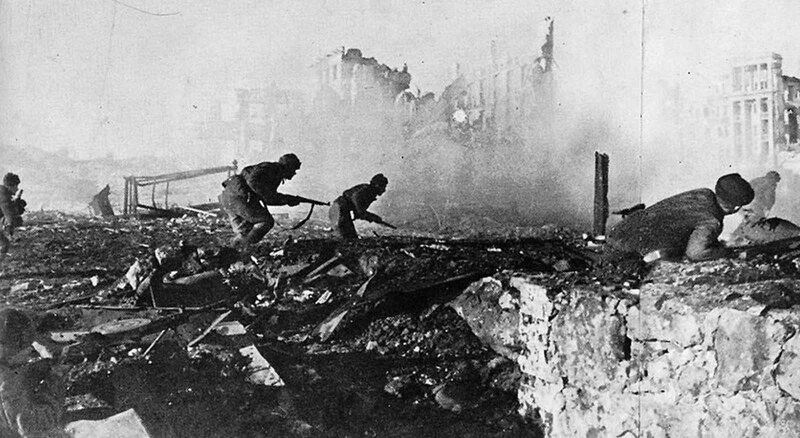 Red Army soldiers with an anti-tank rifle, firing on a. 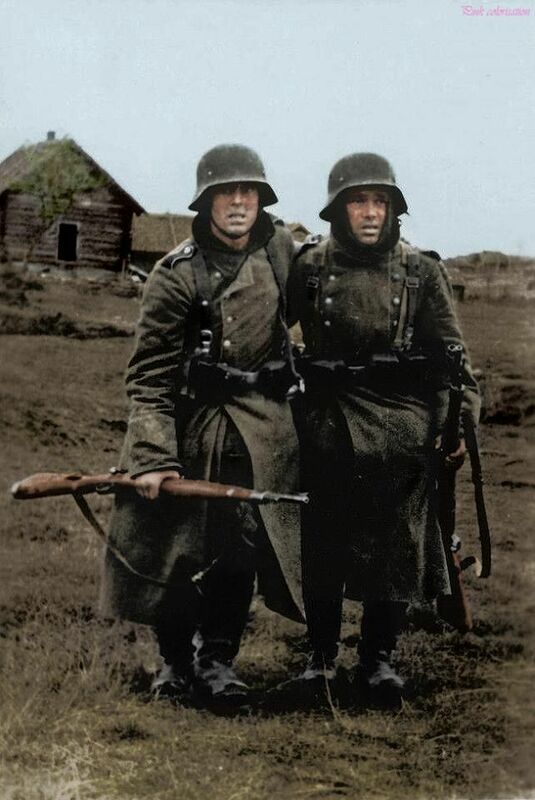 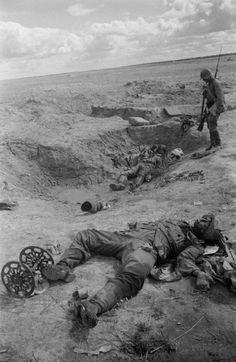 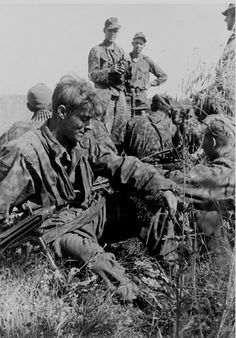 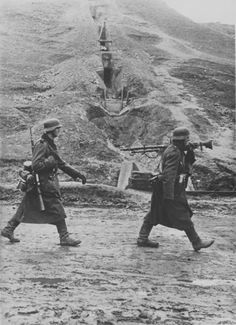 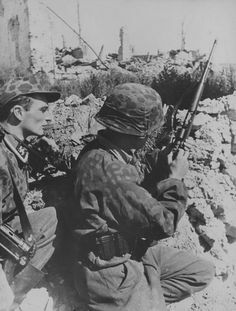 Two weary German soldiers on the Eastern Front, 1942, Russia. 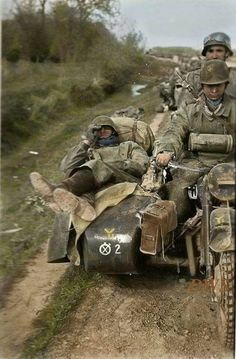 The fear and fatigue on their faces is clearly visible. 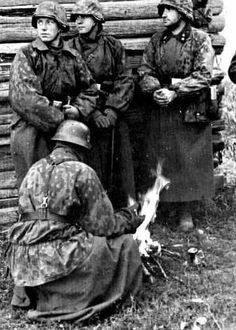 German soldiers partying in a Russian village - Eastern front, 1942. 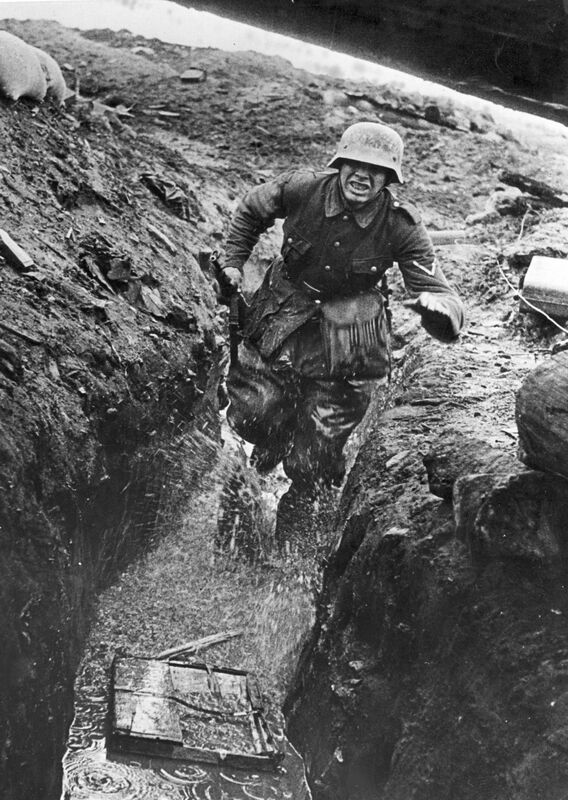 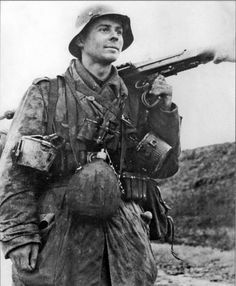 German messenger in wet trench, Eastern Front. 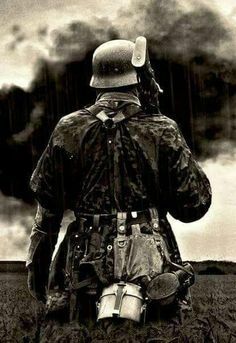 Run for your life. 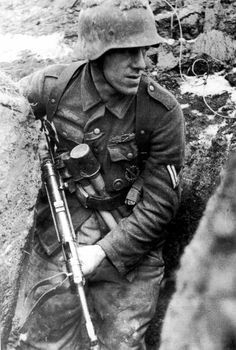 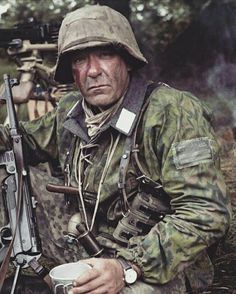 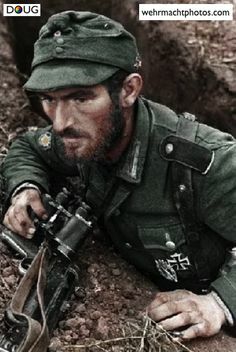 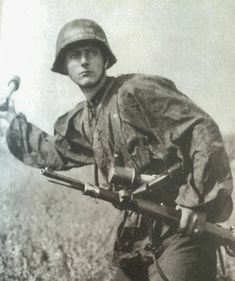 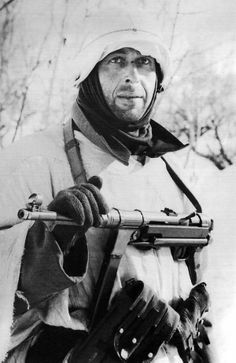 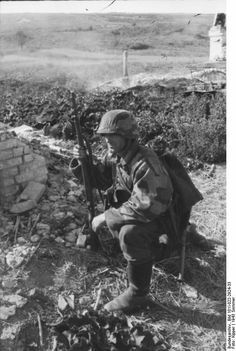 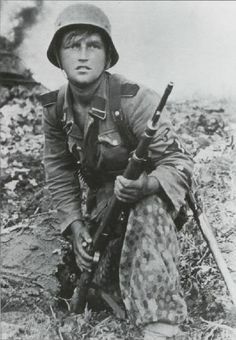 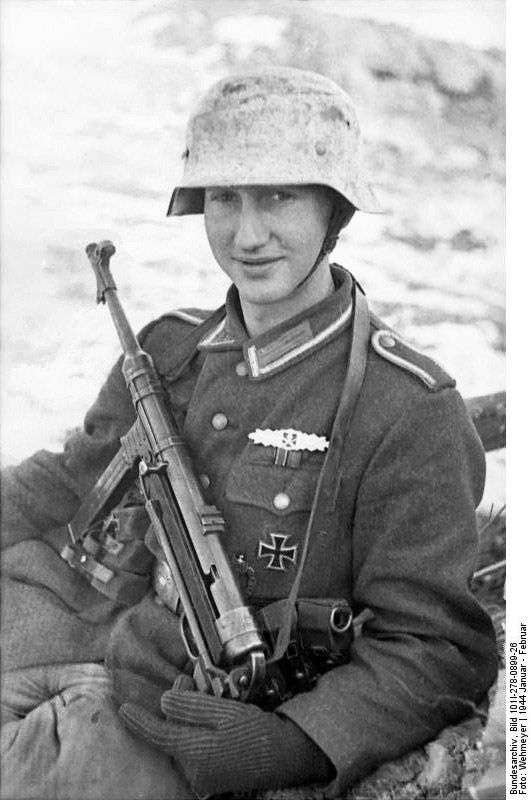 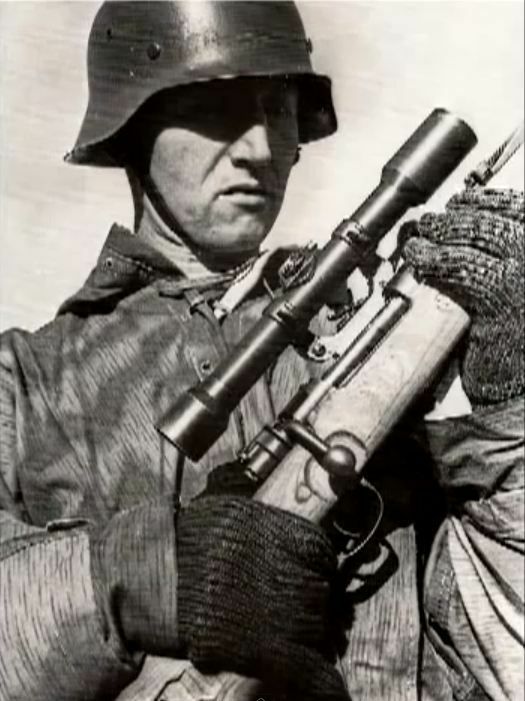 German sniper on the Eastern front. 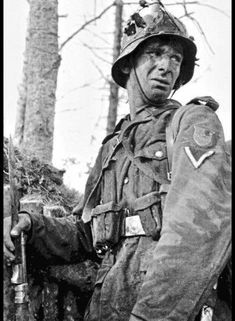 Note the woodland camouflage smock. 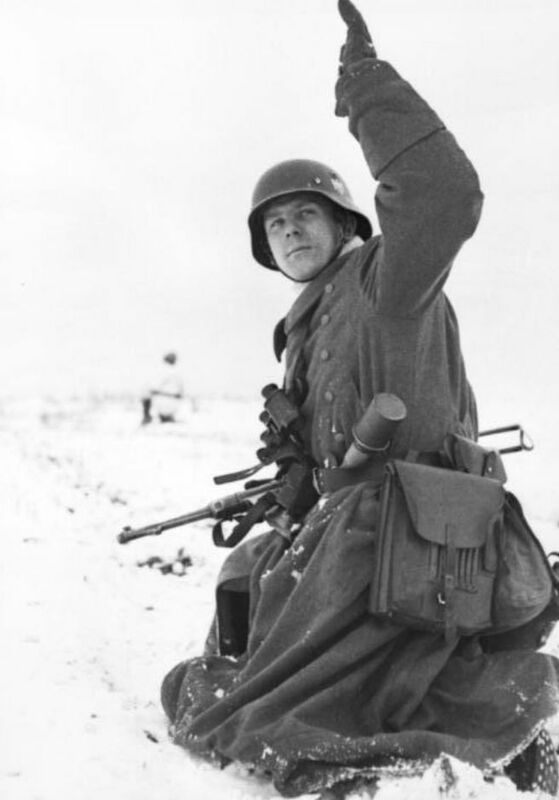 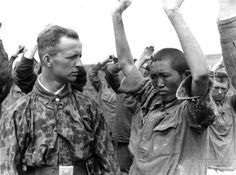 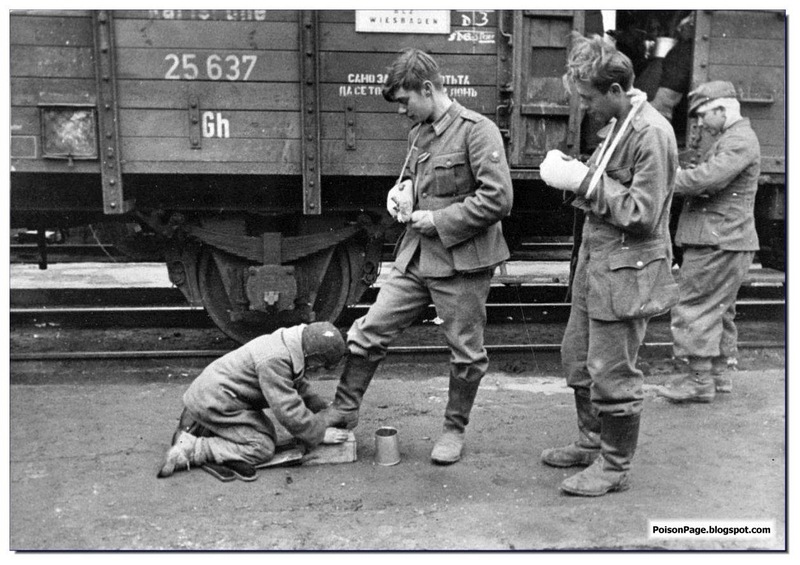 The pattern is still used by the German army with little change. 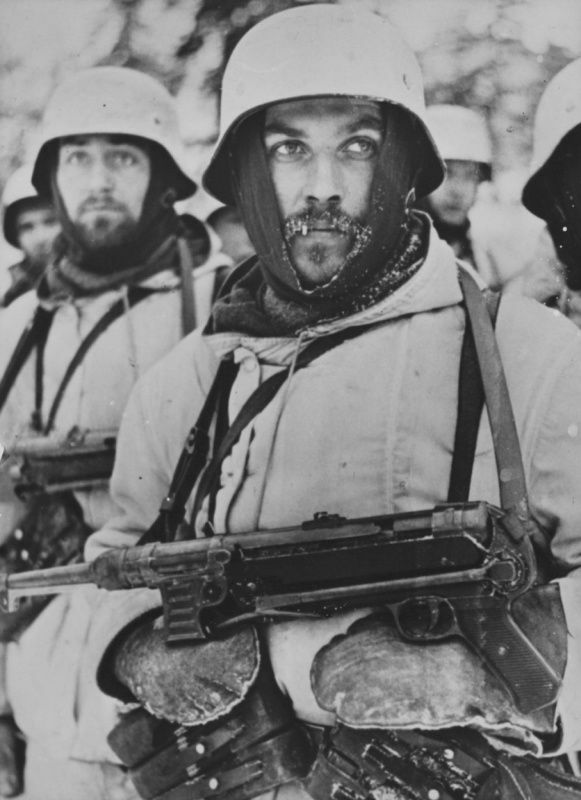 German soldiers in a night attack in the snow, Eastern Front, early 1944. 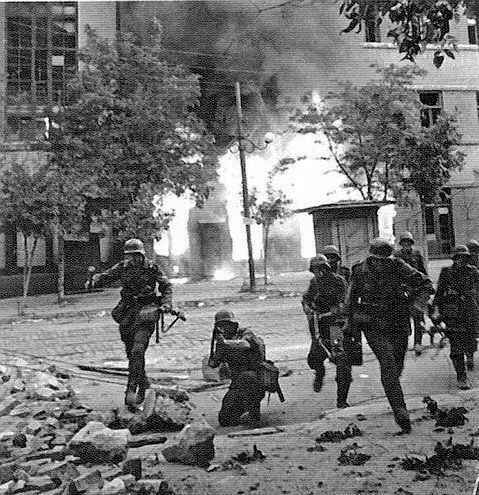 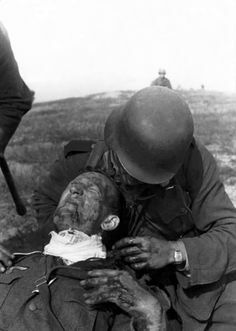 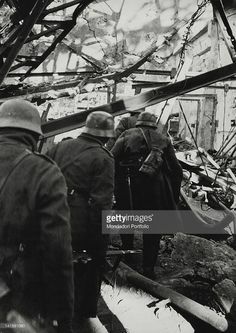 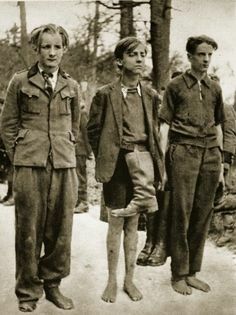 Brutal images of WW2. 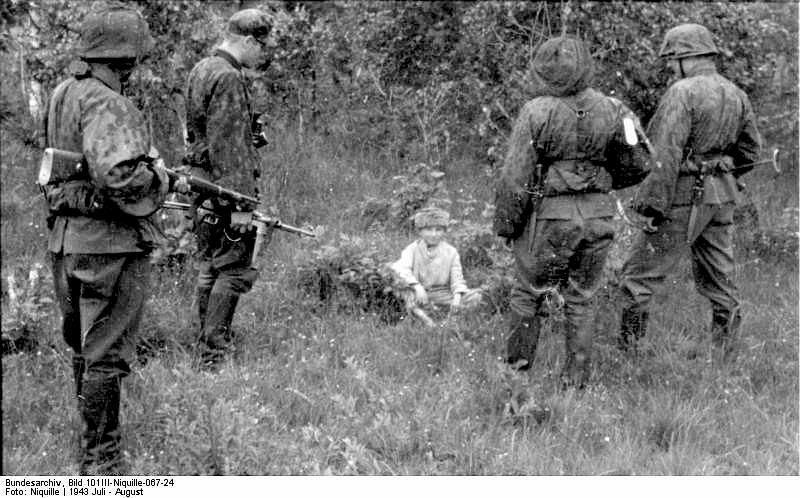 Executions in Russia by Germans. 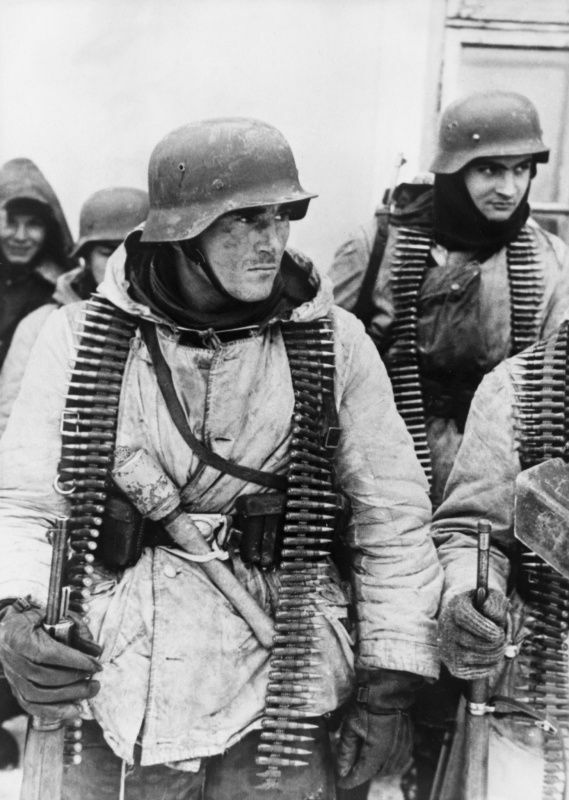 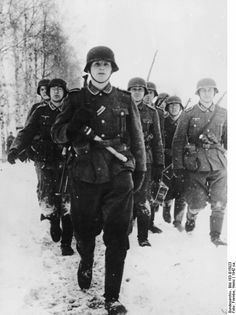 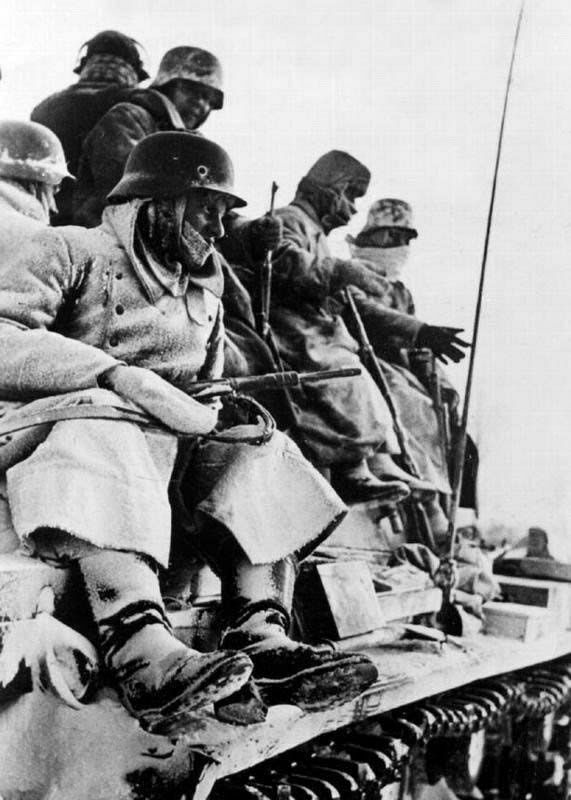 German soldiers in winter uniform in service on the Eastern Front. 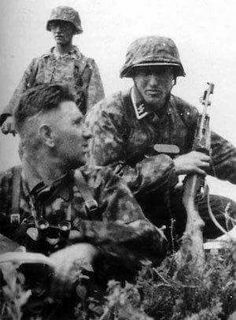 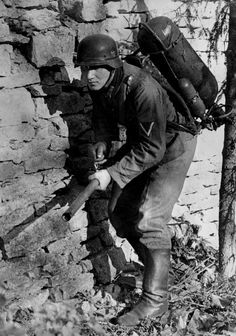 The soldier in the foreground is armed 9mm submachine gun MP-40. 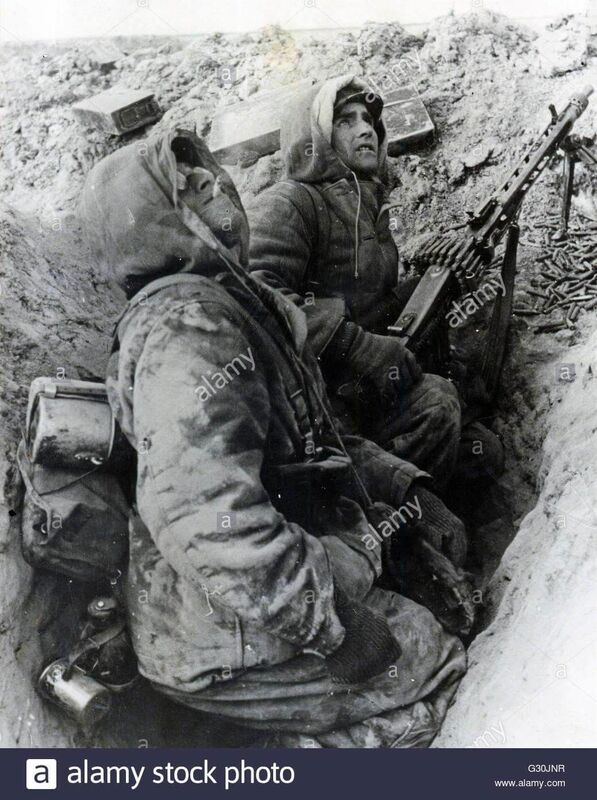 1941 Soviet Union - two infantrymen a Sergeant (left) with K 98 rifle with fixed bayonet. 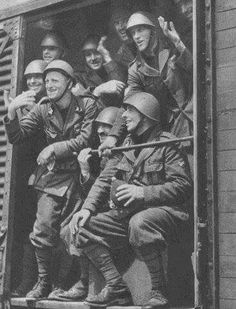 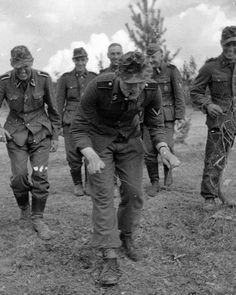 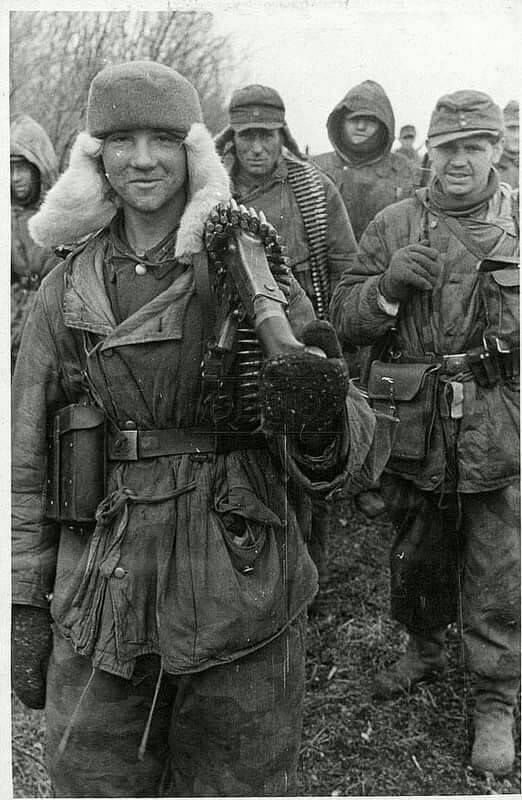 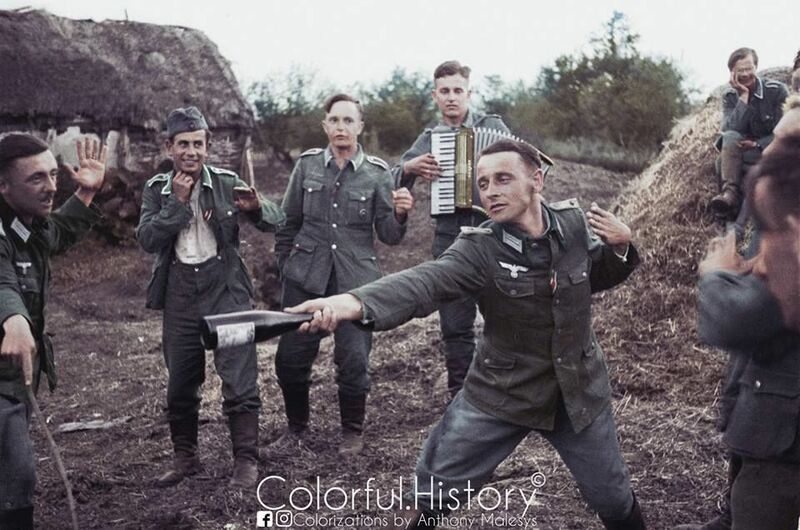 Soldiers of the SS-Kavallerie-Division 'Florian Geyer' having some fun somewhere on the Eastern Front. 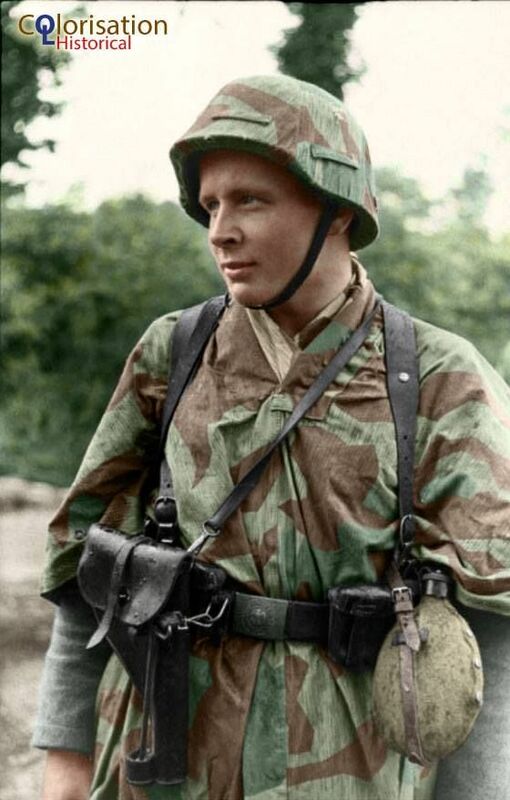 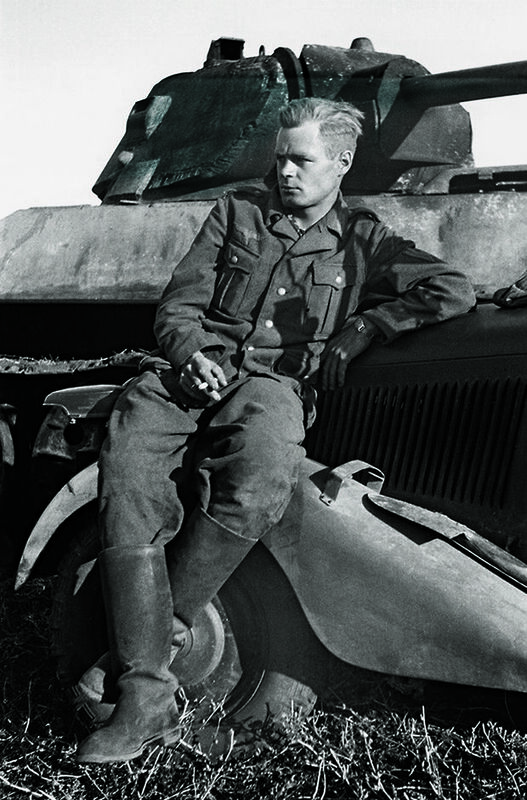 Normandy 1944 A young Panzer grenadier of the 21st Panzer Division. 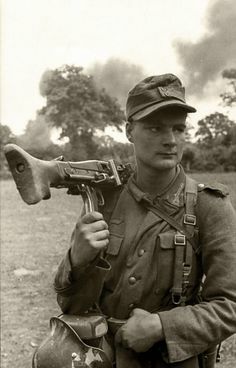 He's wearing a flare gun holster on top of his zeltbahn. 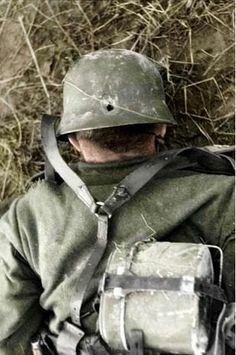 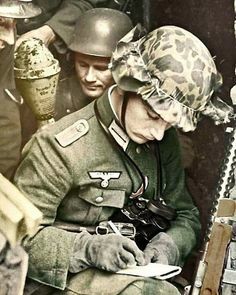 Wehrmacht's History on Instagram: “A German soldier is probably writing a diary to his family in the trench during the WWII Eastern Front in Europe. 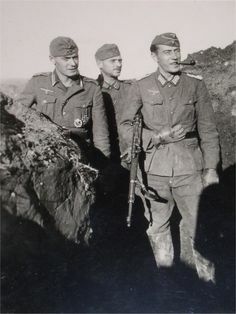 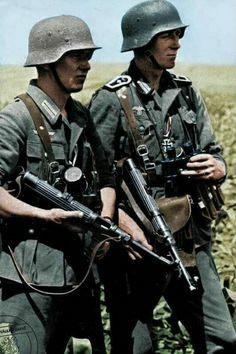 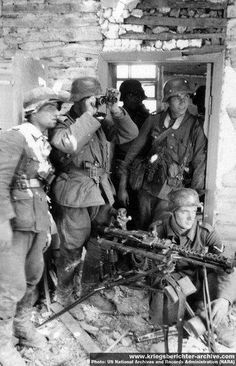 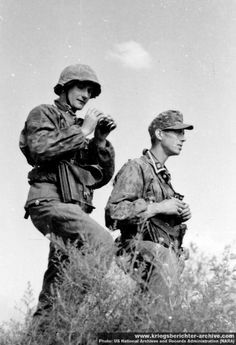 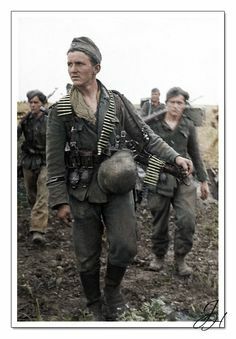 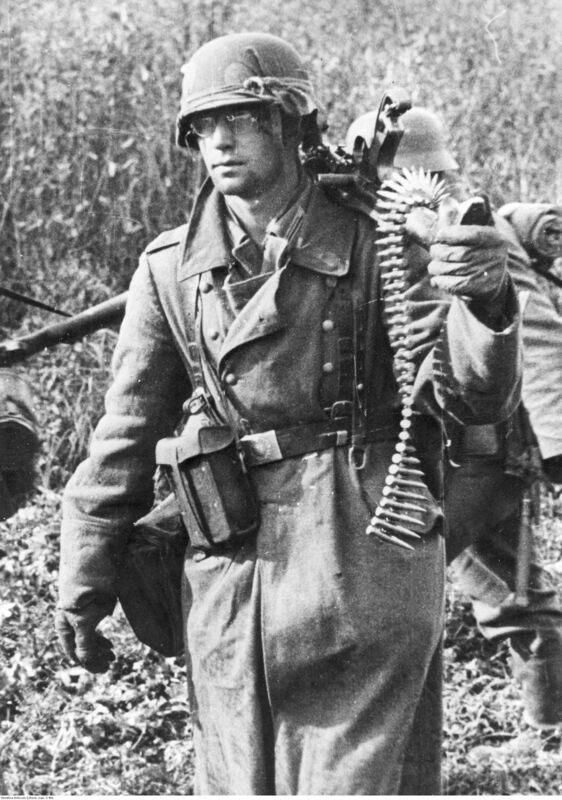 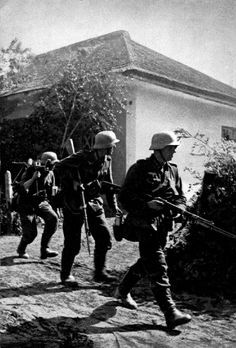 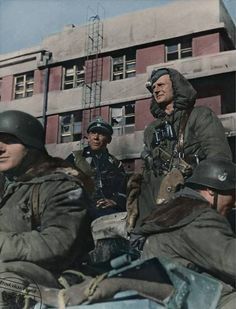 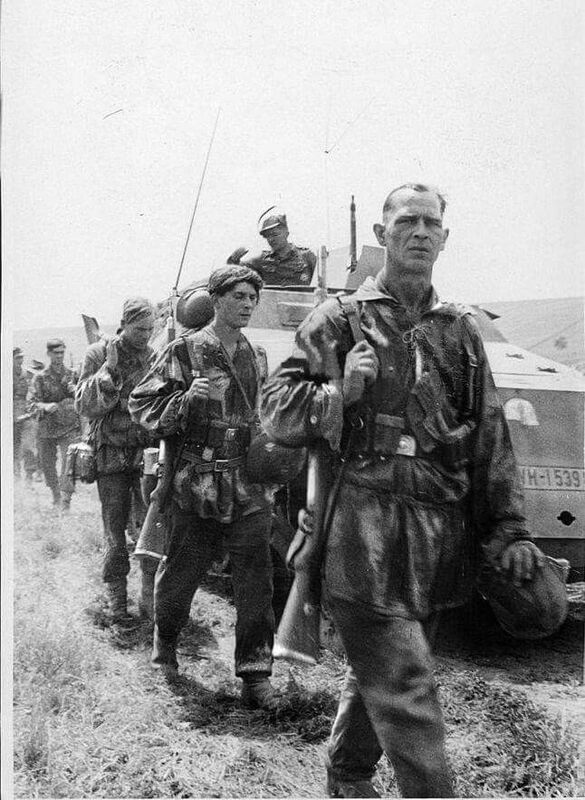 Panzergrenadiers of "Grossdeutschland Division". 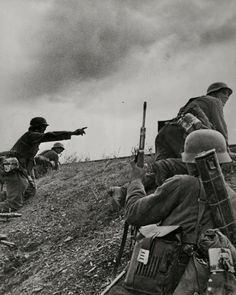 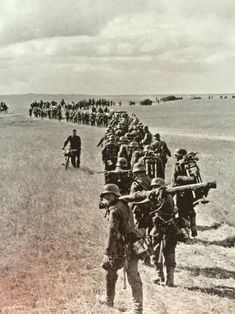 Eastern Front of "Grossdeutschland Division". 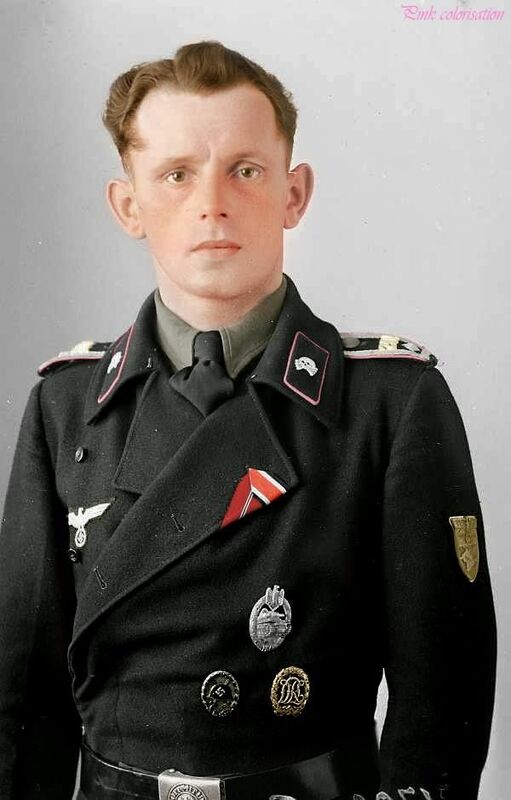 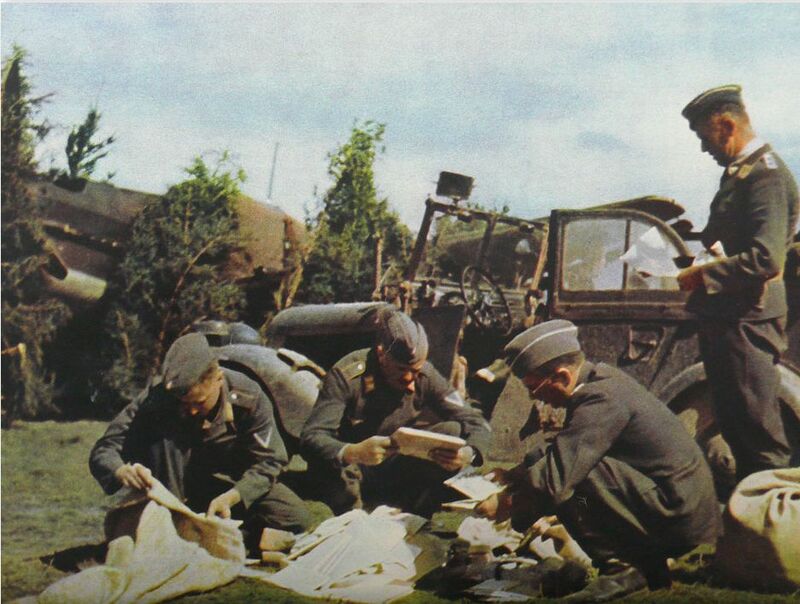 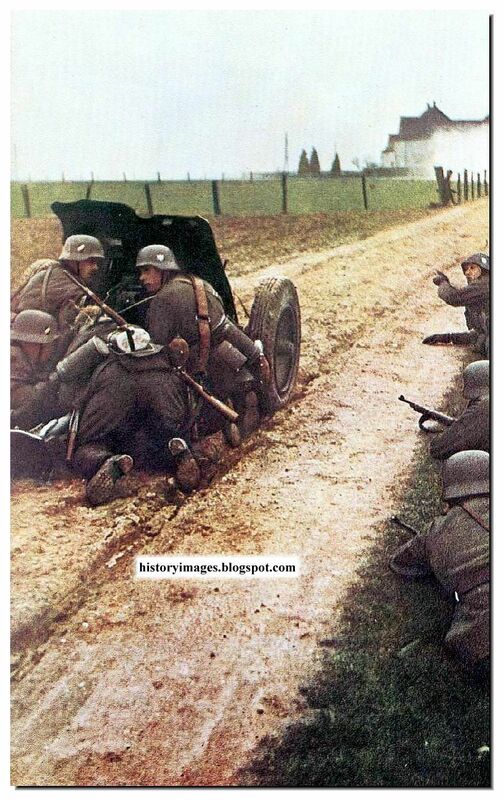 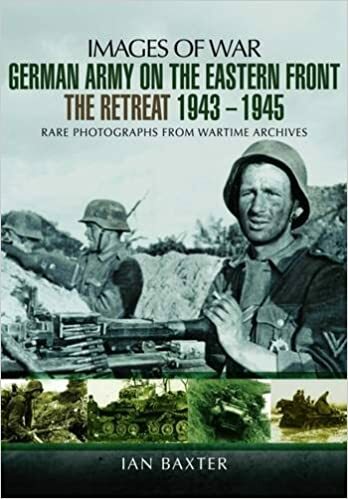 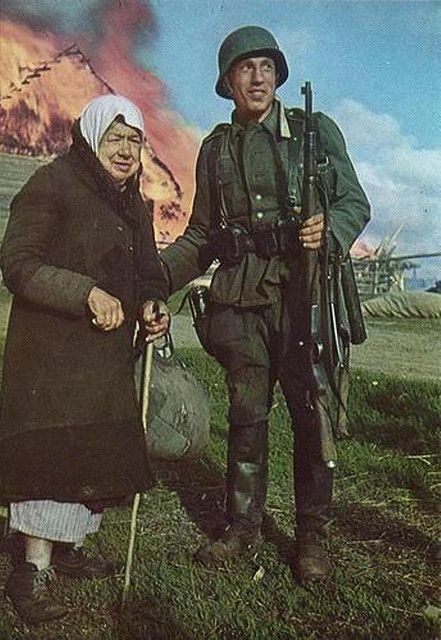 Large color images of the German Army and soldiers in Soviet Russia on the WW2 Eastern Front. 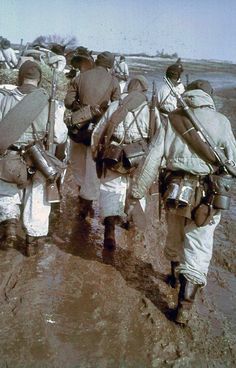 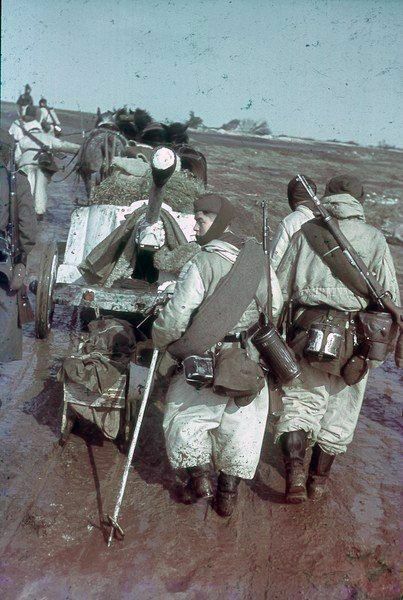 Fascist Italians troops on their way to the Eastern Front. 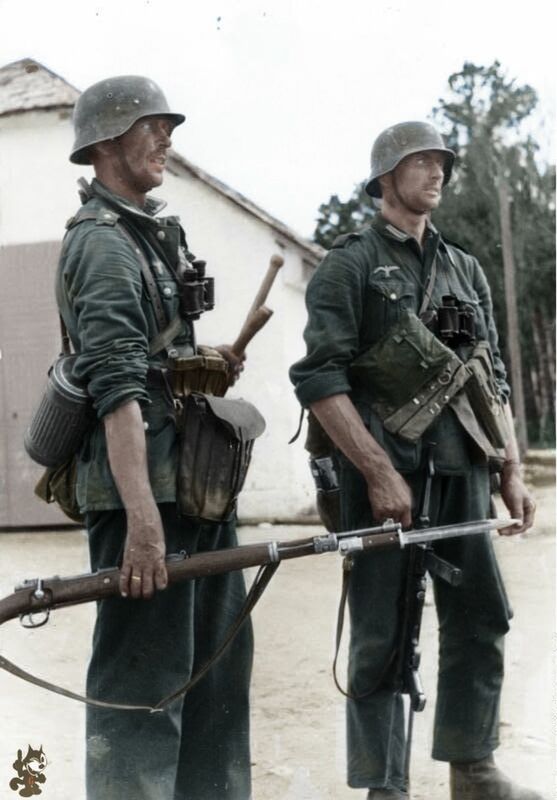 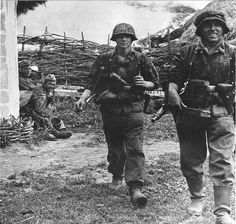 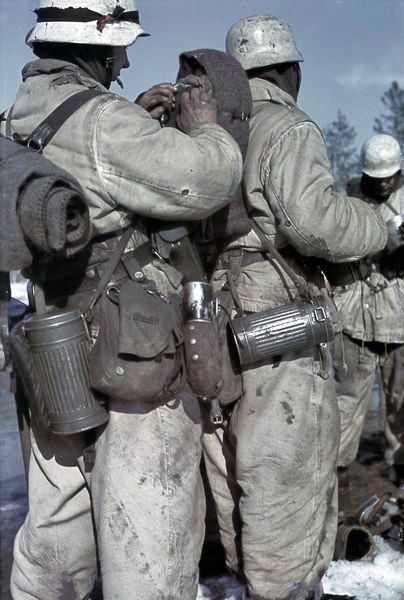 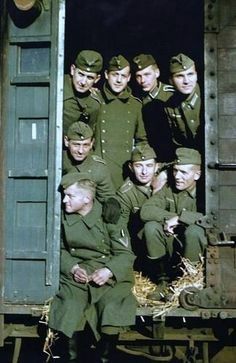 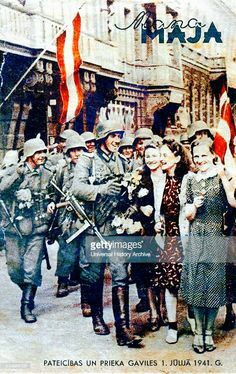 Soldiers from Panzergrenadier Division Grossdeutschland 1944. 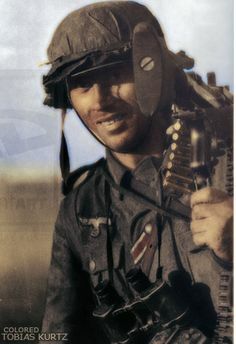 Iron cross 2nd class ribbon, Eastern front ribbon DRL badge sport, Black Wound badge, Panzer Silver Assault badge, Crimea shield. 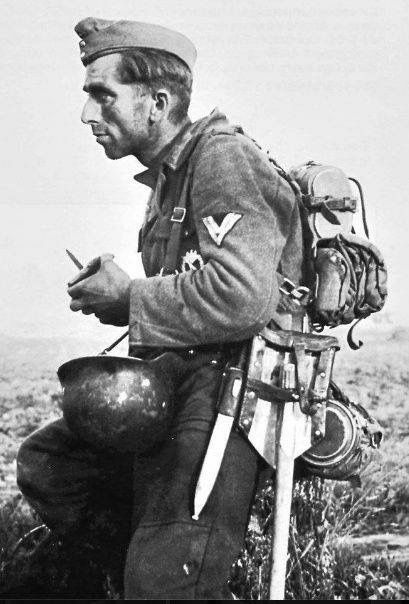 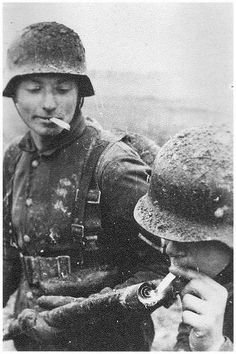 A German sniper on the Eastern Front smoking his pipe and hanging out. 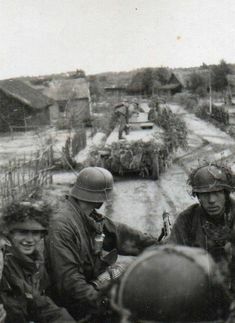 Men of the 5th SS "Viking" Division manoeuvre a Panther tank over a wooden bridge. 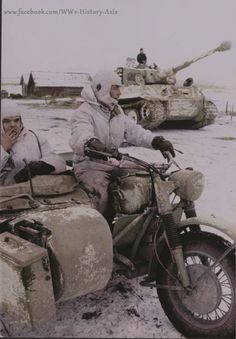 Location: Somewhere in the Eastern Front. 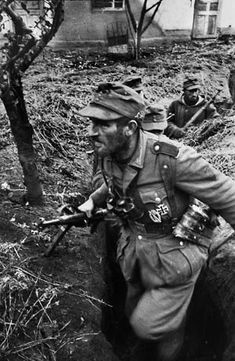 Time: Unknown. 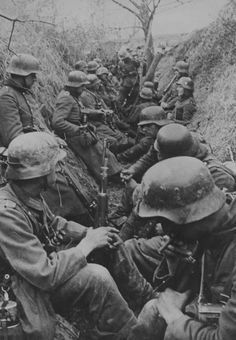 A German trench somewhere on the Eastern front.